A salesman can sell twice as much apples in the afternoon than in the morning. 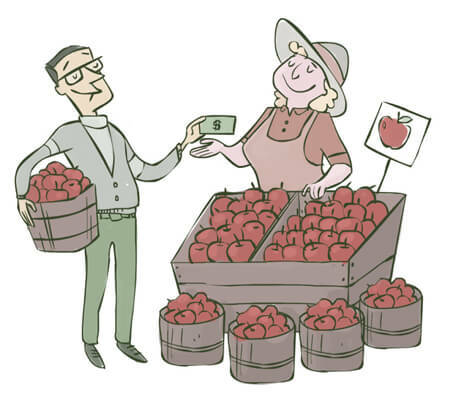 If he sells P kilograms of apples per day, how many kilograms he sells in the morning and how many in the afternoon? Input will be a number (P<1000) in each line. You have to to print the amount sold in the morning and amount in the evening in a separate line.